The only number you need to enter into the above calculator is the tempo in BPM. As soon as you enter the tempo, the delay times will display for different note lengths. The notes are separated into three types: normal, triplets and dotted. Once you find the right type of note you want to use for your delay, you can take that time in milliseconds (ms) and enter it into your delay pedal. 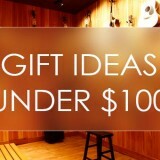 Let’s say you have a song at 120bpm and you want to experiment with some rhythmic delays. A common rhythmic delay effect used on a lot of songs is to use a dotted eighth delay. After entering 120bpm in the above delay time calculator, you then scroll down to the dotted note section. Under eighth notes you see it has a delay time of 375ms. On your pedal you then set the delay time to 375ms and adjust the feedback level to your liking and you’re good to go. When you play along with the song now the delay will produce an interesting rhythmic pattern that matches the song’s tempo. If you wanted to use this same rhythmic effect on a different song, all you need to do is enter the new song’s tempo into the calculator, find the dotted eighth time and enter it into your pedal. 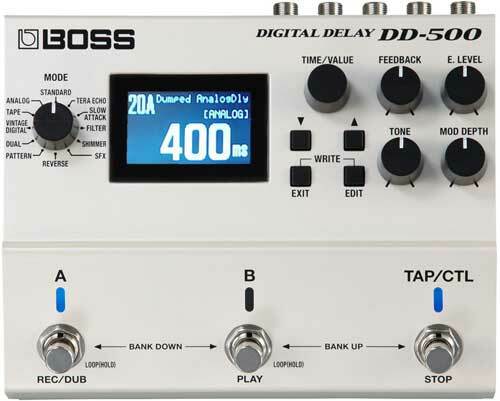 The challenge with a lot of delay pedals is they don’t allow you to enter in a specific delay time in milliseconds. Most pedals require you to either tap a the delay time or use a knob to dial in a delay time. You can get close to the right delay time with these options, but it will never be perfect. Multi-effects units with display screens will all have this feature. Some ask you to enter the delay time in milliseconds, while others ask you to enter the tempo, then the type of note you want for the delay. For example, the Line 6 Helix is a high-end multi-effects unit that allows you to set delay time in milliseconds using the pedal’s screen, or using the editor app. 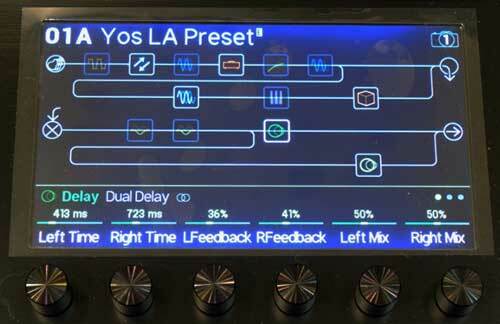 The photo below shows a dual delay on the Helix where you can set different delay times in milliseconds for left and right channels. 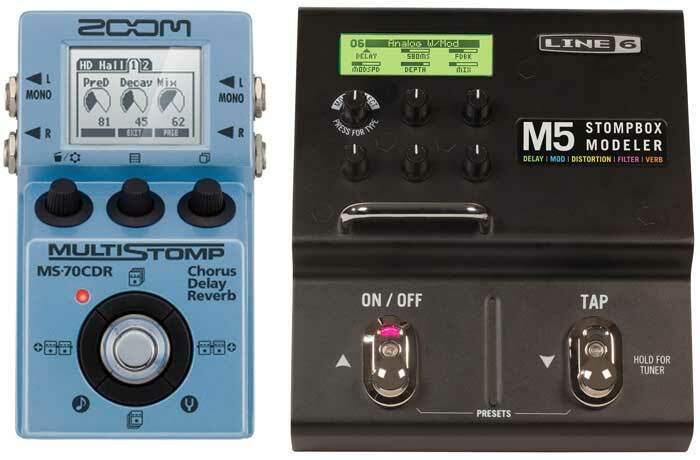 Smaller multieffects pedals like the Zoom Multistomp or the Line 6 M5 (as shown below) give you a more compact pedal with the same level of control over delay. 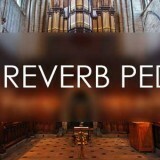 You can see the below Zoom pedal has a Hall Reverb with a predelay set to 81ms. 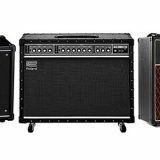 The Line 6 M5 has an analog delay with modulation set to a delay time of 580ms. These times can be set by simply adjusting the relevant knob, just like a normal stompbox. The big advantage with pedals like these is you can save different presets for different types of delays you regularly use. That way you can easily change back and forth between different delay times without having to reprogram the delay over and over. If you’re looking for something a bit simpler but still want to have precise control over your delay times, the Flashback range of delay pedal by TC Electronic may suit you. 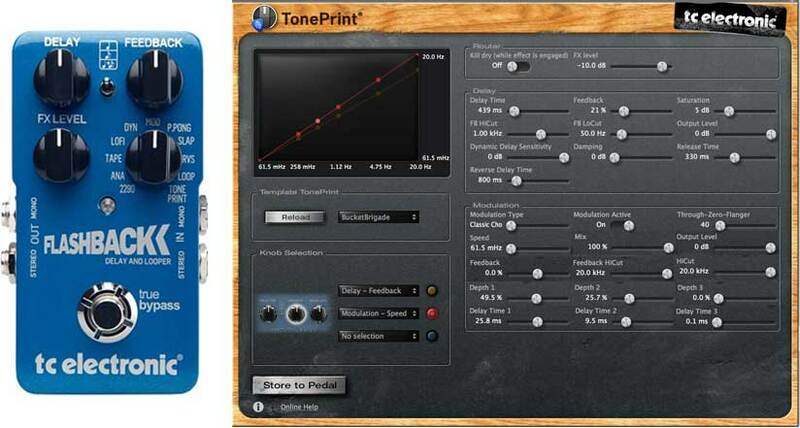 While these pedals don’t have a screen to allow you to enter the delay time like the above pedals, they use an app called TonePrint where you can set the delay time (and other parameters for the delay) and save it to the pedal. 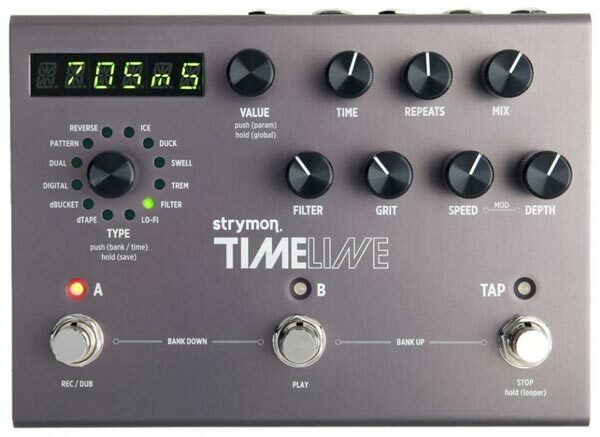 This type of delay pedal is a good option for guitarists who want something simple, but want the option to get really detailed with a delay’s settings. 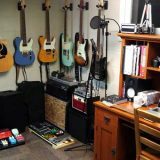 If you want to learn more about delay and the range of delay pedals available to guitarists, check out this Guide on the Best Delay Pedals.